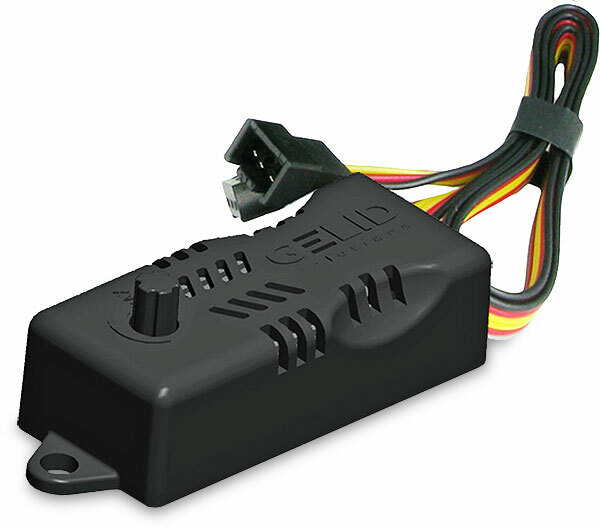 Gelid's Fan Speed Controller allows for the RPM speed of any high RPM fan to be controlled from full speed (12V) to low speed (5V) manually. Gelid's Fan Speed Controller allows for the RPM of any high speed fan to be manually controlled from full speed (12V) to low speed (5V. On the back of the controller there is an adhesive pad which allows for it to be secured in almost any location. The supplied cable is 500mm in length and therefore installation outside of the case is possible.